BDS - Bubble Detector Spectrometer - Bubble Technology Industries Inc. The Bubble Detector Spectrometer (BDS) is a complete low-cost neutron spectrometer package consisting of 36 bubble detectors that have been specifically formulated with six different energy thresholds. 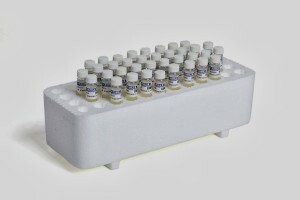 Each spectral measurement can be made with 18 detectors (three of each threshold supplied – 10, 100, 600, 1000, 2500, 10000 keV). Similar to fast-neutron activation detectors, the measured spectrum from the BDS is derived by “unfolding” the response of the different detectors of the BDS. Detectors can be re-used through recompression in a pressure chamber (available from BTI). 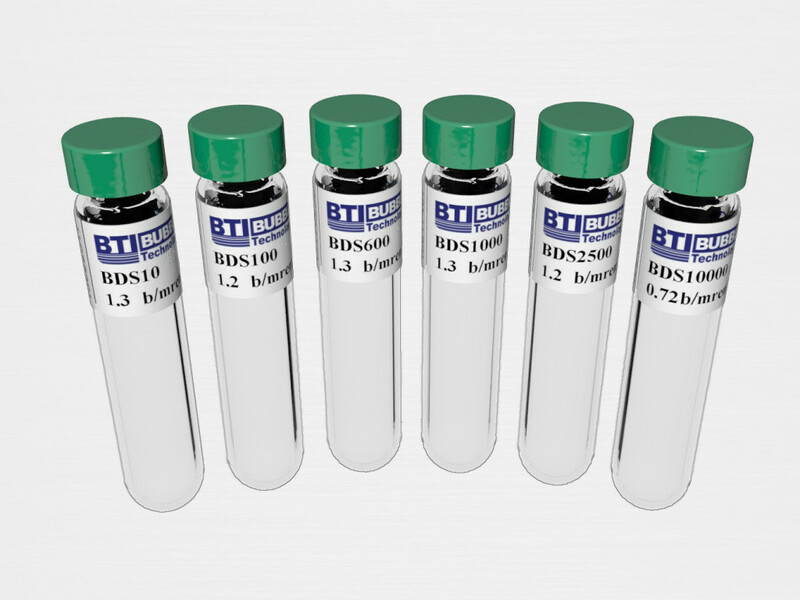 The BDS has two very important properties–it is completely insensitive to gamma rays allowing it to be used in areas with intense gamma background and, since it is passive, it can be used in pulsed radiation fields. The BDS is ideal as a low-cost method for assessing the energy of a neutron field, especially where the neutron field is only a very small fraction of the total radiation field. 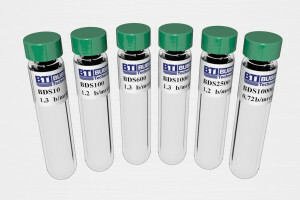 Specialized versions of the BDS have been used to determine the neutron spectrum in space and is often used in connection with pulsed reactor operations and for assessing the neutron field from medical (or research) accelerators.